The Durban International Convention Centre has always played an active role in supporting community projects and especially those which invest in the lives of young people. Recently, the Durban ICC has increased its support by hosting and sponsoring two key events aimed at empowering young people in the hospitality industry. In December, the Durban ICC hosted a glittering fundraising dinner which helped raise over R200,000 for the Ikusasa School of Cooking. 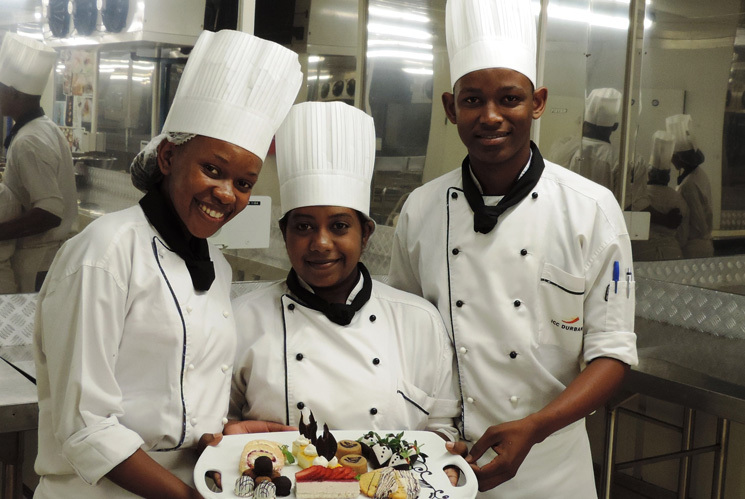 This chef school provides the opportunity for underprivileged youth, who are either living in children’s homes or who come from disadvantaged families, to earn a culinary qualification and secure full-time employment upon graduating. The cooking school was established four years ago as a project of the Chaîne des Rôtisseurs Foundation Trust, and is based at St Martin’s Children’s Home in Glenwood. On the evening, significant charitable donations were made to towards the tuition of future students of the cooking school. Notable donations were received from the Durban ICC, International Bank Vaults and Tsogo Sun, amongst others. In addition to this initiative, the Durban ICC was also the key sponsor of the KZN Info Chef Conference, organized by the South African Chefs Association (SACA). This year’s conference was aimed specifically at youth development, under the theme “The Young Chef”, and addressed challenges facing young culinary professionals today. “Conferences of this nature play an important role in raising the skill levels and broadening the horizons of our young, local chefs. We were excited to support such a worthy cause and continue our contribution to the youth development efforts in our province”, added Ellingson.